SkyDancers Unvails new Website for 2008! SkyDancers International launches new online portal to make it easier for customers to find what they want. With this relaunch comes a wealth of new features including the SDI Monthly Newsletter, Weekly Online Only Specials, Browse for products by industry or Holiday and much more! 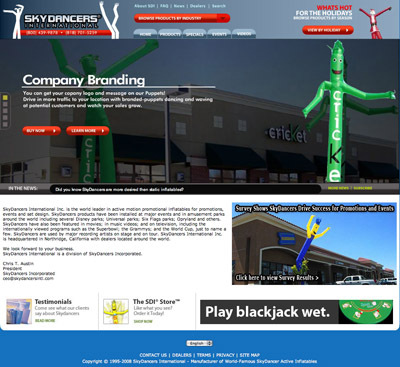 SkyDancers International welcomes you to our new site!